Hall for Cornwall’s £20 million redevelopment has been given the go ahead after it secured the remaining funding required to complete it. 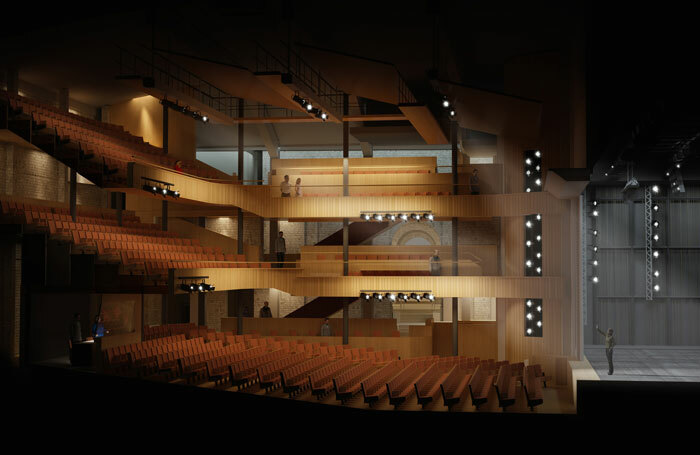 The Truro arts centre has already been given planning permission for the project, part of which will remodel and increase the venue’s auditorium to enable it to host major touring productions. The Cornwall and Isles of Scilly Local Enterprise Partnership has given £2 million to the scheme, providing the last remaining funding to reach its target. Julien Boast, chief executive and creative director of Hall for Cornwall, said Cornwall deserved a theatre “that will continue to inspire, educate and engage and bring the best productions in the country to Cornwall”. The organisation’s co-chair, producer Rosemary Squire, said the final funding commitments presented a “wonderful moment for Cornwall and cultural life in Cornwall”. “It’s been many years of hard slog to patch together an extraordinary funding package from all these public sources, and the redevelopment will offer greater quality and greater variety of work for the region, which is one of the furthest flu outpost of cultural life in England,” she added. Work will begin in July 2018, and the building is due to be completed in 2020.